This week Martin’s has a great diaper deal. 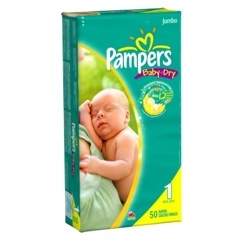 Although I am a huge Seventh Generation fan (I use Amazon Subscribe and Save and get them for $.14 cents per diaper), this Pampers deal is pretty hard to pass up. Fuelperks: buy three get an additional .20 off per gallon! Your total per pack $5.34, and $.10 per diaper! !